I work with committed Souls in their adult years, individuals who truly want to become better people. I help them with their emotional life and their relationships. Like a detective, through my counseling work I help my clients see what is at the bottom of their issues of relationship, self image and how they stand in the world. My greatest strength is in identifying emotional patterns, and giving them tools to transform attitudes and habits, freeing their life force so that their lives can evolve and flourish to the next stage. My tools for this transformational work are Flower Essences and Voice Dialogue. It has been my honor and my joy to witness and enhance the evolutionary journey of hundreds of individuals through one to one Flower Essence Therapy Consultations, for almost three decades. My ongoing practice of 29 years with remarkable results, combined with my in depth study of flower essence plants, often with the original researchers in the plant natural habitats, has given me a unique perspective and experience that, I can rightfully say, is unequaled in this field. For 22 years I dedicated my heart and soul to the development of Flower Essence Therapy as a respected, well known healing modality in Brazil, where I was born. There, I am honored as one of the Founding Elders of this modality, that is now present in University advanced programs and Public Health offerings, as well as serving people of all ages throughout the country, from North to South. 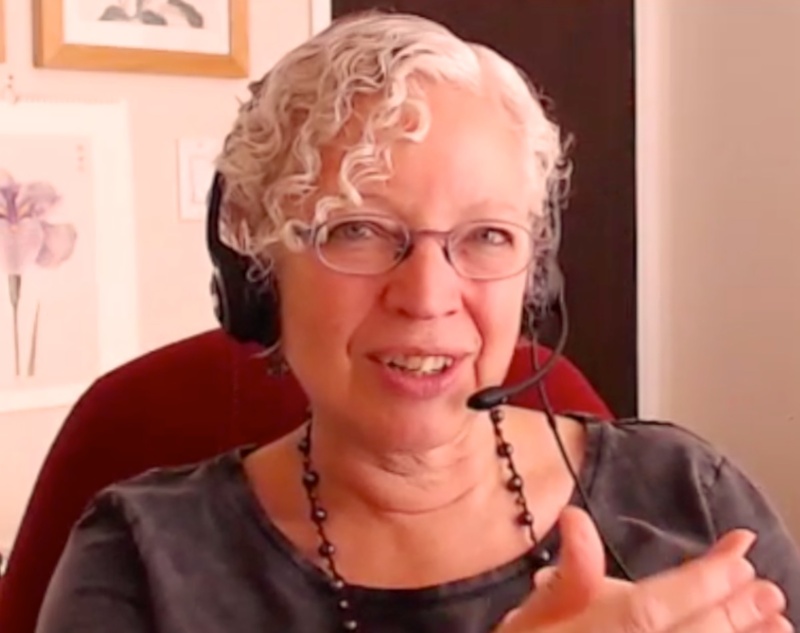 After accomplishing this part of my mission, prompted by an inner calling to pursue a solo path as a teacher, healing artist and mentor, I offer long distance consultations, Mentoring Programs for Practitioners and Online Teaching, using interactive video technology enriched by visuals and Alchemical Journeys. Flower Essences are preparations that capture information of the Life Force of plants at the peak of their flowering period. Through Flower Essence Therapy, we receive and utilize, in a targeted way, specific patterns of Nature’s Intelligence information, captured in water. This evolutionary information impacts our multidimensional field, supporting us in changing attitudes, making emotional shifts, gaining renewed mental perspective, greater alignment and deeper integration. 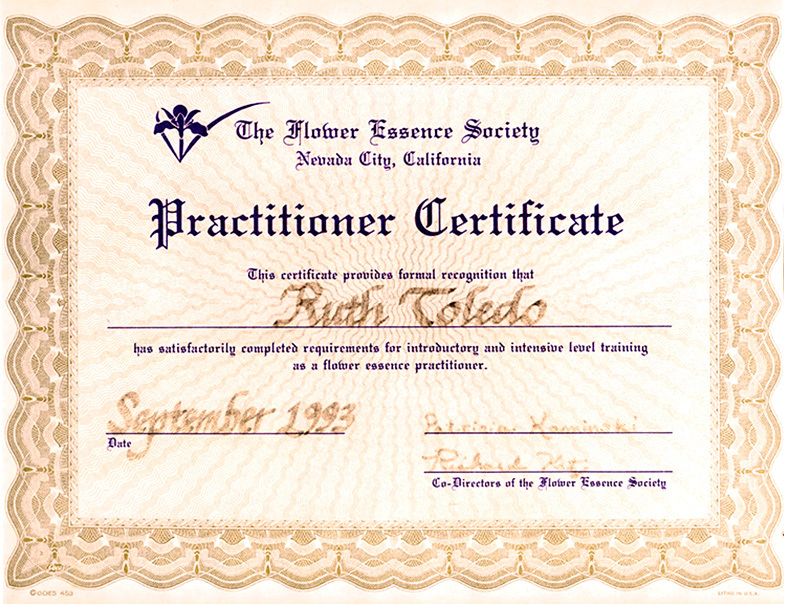 I am a Certified Flower Essence Practitioner by the Flower Essence Society since 1993, and have studied extensively, often where the plants grow wild, with the original researchers and developers of the California FES Essences, Alaskan, Desert Alchemy, Healing Herbs (Bach Flower Essences produced in the UK), Australian Bush, Pacific Essences and Living Essences of Australia. I have been a speaker at Flower Essences international events, as well as a pioneer in introducing Basic and Advanced Education on Flower Essence Therapy in Brazil, where I was born. In numerous events, over a period of 25 years, I have also been a translator, converting to Portuguese some of the most inspired advanced courses given by leading edge teachers. Class I organized for a group of Brazilians in Alaska in 1997 by Steve Johnson, creator of the Alaskan Essences. For 22 years I have coordinated and produced numerous workshops and group encounters, bringing teachers from abroad to Brazil, curating and translating courses for the Brazilian public, intermediating publications, taking groups for field studies in other countries, “weaving” networks and “building bridges” between hemispheres and continents. As a result of initiatives in which I played a key role, many individuals have encountered deep healing, as well as new avenues for the expression of their Soul Work and Path. And many of these people have generated ripples, spreading healing and higher consciousness to their communities. For 22 years I dedicated my heart and soul to the development of Flower Essence Therapy as a respected, well known healing modality in Brazil. 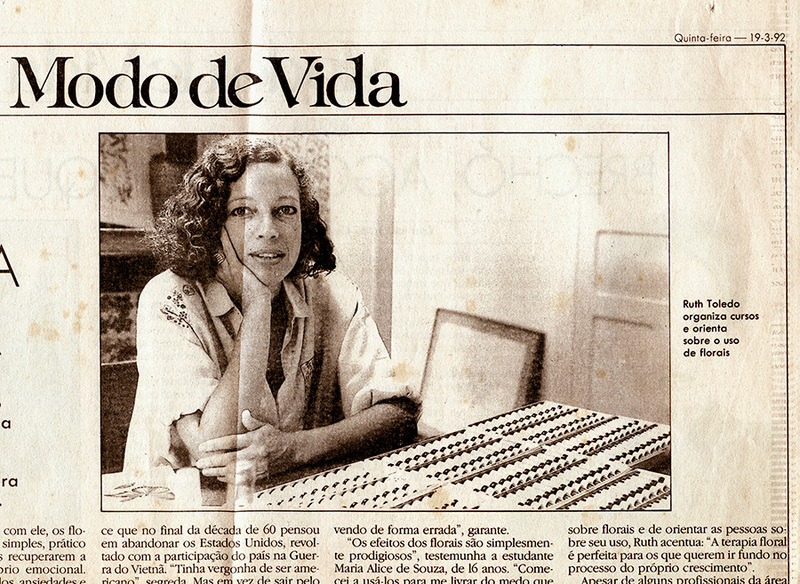 In 1991 in Brazil where I was born, while having my private practice, I also co-founded Essencias Florais, a successful company that distributes Flower Essences and promotes educational programs. Before that time, I had a successful first career of 13 years as a professional Photographer and teacher of Photography, one that I relinquished to take closer care of my small kids. This was followed by a second career of 9 years as as clothes designer (close to home), when I dressed people with colors and prints that enhanced their Inner Soul Light. It was amidst this that, in 1989, while serving and listening to my clients on a daily basis, I found my deepest calling, one of working actively to enhance the Evolution of the Soul. Originally from Brazil, I live in the United States with my husband of 18 years, Stephen Altschuler. I am an accomplished and proud mother of a daughter and a son, both in their mid thirties. Until 2015, I maintained a thriving practice in São Paulo, Brazil, “commuting” regularly to follow up with my committed clients. Now settled and staying mostly in the US, I work over the phone and or web, with my clients who live in different towns and countries. As a Practitioner of Practitioners, Mentoring and empowering those who are ready for deeper alignment and a stronger Light Presence is my main goal. 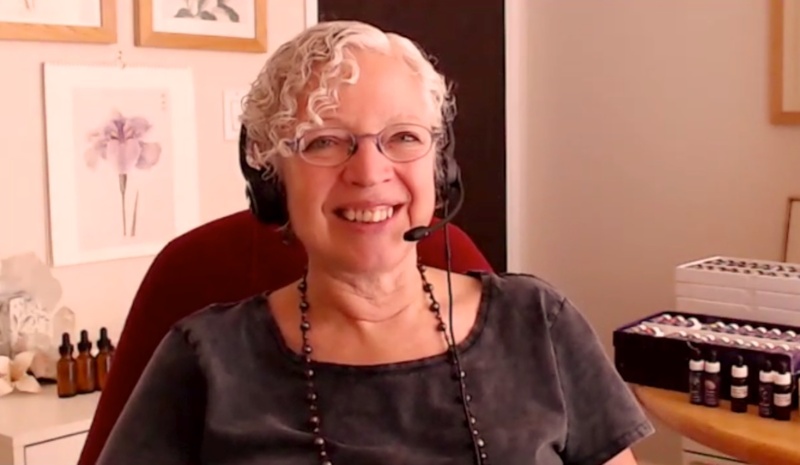 For groups, I have launched Essences Circles, a three level Program of interactive online gatherings, providing the opportunity for individual and collective healing, in partnership with the Living Archetypes of Plants and Flowers. This includes deepening studies and Professional Mentoring. Using Technology for Healing, creating Educational content with original multimedia materials, based on my technical expertise and healing experience, is how I see my contribution. On a wider, worldwide scope, my commitment is to help expand the awareness of our multidimensional intimate interrelation with Plants, and of the deep healing offered by the Living Archetypes of Plants and Flowers.